Highly effective insulation for outdoor adventures in icy temperatures. 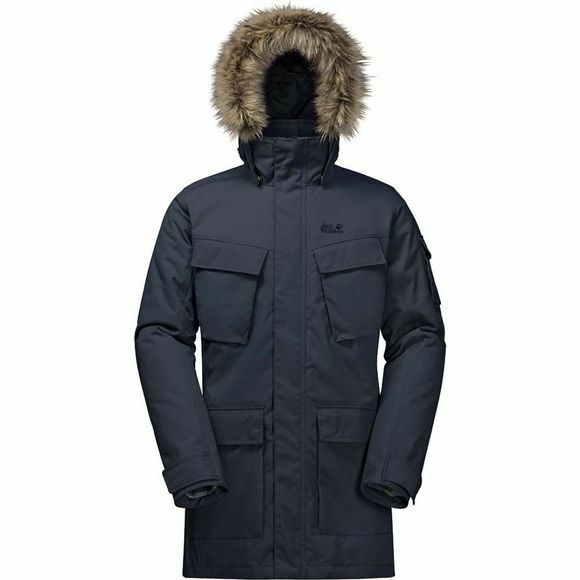 The Men's Glacier Canyon Parka from Jack Wolfskin features super warm MicroGuard insulation which is a synthetic fibre that is robust and insensitive to moisture. The Texapore Oxford outer fabric protects you from rain and wind and is extremely durable to withstand abrasion from bag and pack straps. The sleeves have microfibre cuffs that block the wind and retain warmth and if the weather is sure to stay dry, you can simply detach the hood and leave it at home.